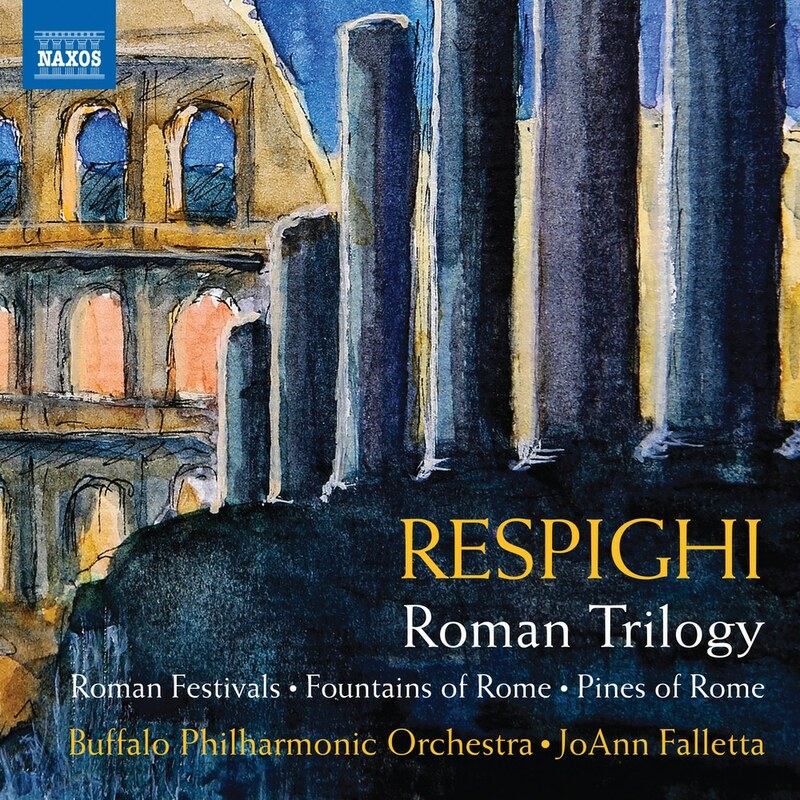 Respighi is renowned as the composer of the lavishly orchestrated Roman Trilogy, sumptuous tone-poems full of provocative harmonies and suggestive rhythms, which celebrate the city’s architectural marvels, its festivals, pines and fountains. The composer’s kaleidoscopic writing encapsulates romantic serenade and rustic dance, solemn melody and pastoral landscape, children at play and visions o fpast martial glories. JoAnn Falletta’s previous Respighi recording of ‘Church Windows, Brazilian Impressions, and Rossiniana,’ was a Gramophone Editor’s Choice. Founded in 1935, the Grammy Award-winning Buffalo Philharmonic Orchestra, under music director JoAnn Falletta, is Buffalo’s leading cultural ambassador and presents more than 120 classics, pops and youth concerts each year. Since 1940, the orchestra’s permanent home has been Kleinhans Music Hall, a National Historic Landmark designed by Eliel and Eero Saarinen.